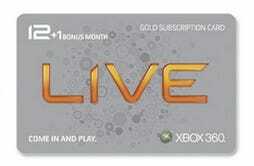 13 Months Of Xbox Live For $30? Two, Please! Time to load up on pre-paid Xbox Live Gold membership cards. Amazon's giving you a chance to upgrade that Silver status for 13 months for just thirty bucks. That's a considerable savings from the $49.99 USD asking price and works out to something like $2.30 a month. Not too shabby! 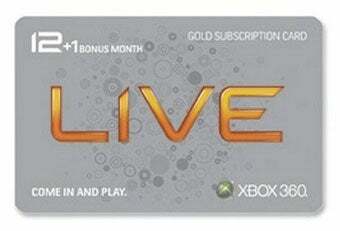 Keep in mind this Xbox Live Gold subscription card is for U.S. customers only, according to Amazon. But if you've got a ZIP code or APO/FPO address, you should be good to go. Strike now, strike fast, strike hard. No mercy!